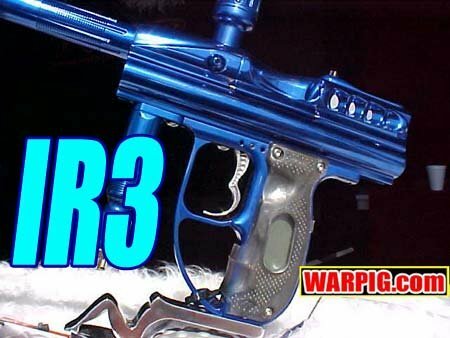 The Angel IR3, was scheduled for release on 02/02/02 made its first public appearance at the 2002 Diablo Mardi Gras Open. The IR3 represents a further refinement of the Angel design. It is more compact and lighter weight than the Angel and Angel LCD, and most of its design changes are not aimed at performance increases, but rather improving the interface between the player and the paintgun.